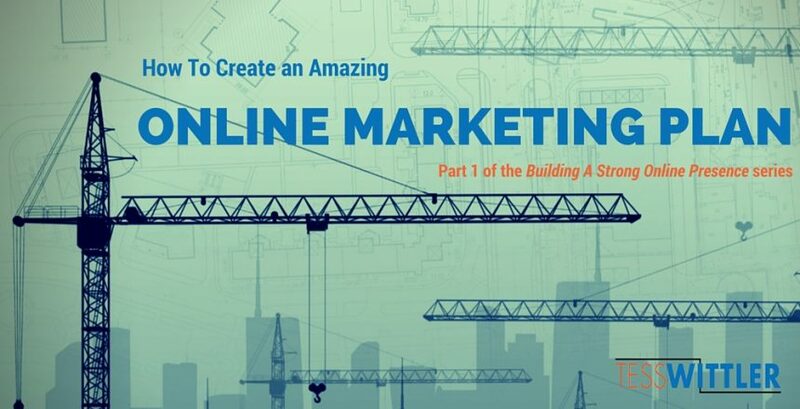 Many contractors want to develop an online marketing plan that will result in creating an even stronger presence through content. While most understand that content marketing is a long-game and won’t provide instant results, they are taking steps today to develop a plan that will accomplish their #1 marketing goal down the road: Bring in new business consistently. Whether you focus on traditional or digital advertising, the first step is to create a marketing plan that supports your business goals – so you need to define your goals. Are you trying to expand into other geographical areas or become better recognized in your current market? Do you want to shift your target market – say from remodeling to custom building, or from senior-living facilities to educational institutions? Are you trying to establish a competitive advantage over others? Developing a marketing plan is often considered the hardest part of marketing because it takes a lot of dedicated time to brainstorm ideas that will push your business agenda forward. It requires to you ask, “What can I do that will move the needle forward?” and often, you don’t immediately know the answer. That’s okay. The important thing to remember is to not rush this process. Spend time on this step. You wouldn’t start a construction project without having the plans in place, so don’t do this with your marketing efforts either. If you simply launch into blogging or Facebook posting, for instance, without knowing your goals, you won’t make any significant progress. Who is your target audience? Describe your average customer as best as you can: age, education, income, target location, cultural considerations. What are their pain points? This is the emotional side. What do they need? What are their concerns and motivations? What keeps them up at night? If you sell more than one product, you may have more than one buyer persona. For example, if you are a home builder who builds 50+ active adult community homes and starter homes, the content you create for use online will reflect two different buyers. In this step, you will spend time gathering all of your existing marketing pieces and organizing them into one place. (DropBox is a great tool for this.) Brochures, one-pagers, presentations, case studies, job site videos, photos and articles published in trade journals are just some of the examples of the marketing materials you probably have in your inventory. Once you have them all gathered, conduct a content audit to see what can be used (or repurposed) in your online marketing efforts to help you reach your goals, making note along the way. When it comes to marketing, you have two resources: dollars to spend and man-hours to give. It is up to you how you want to allocate them. Hire an online marketing firm to handle it all. They will create the marketing plan and implement it. Outsource your content creation to a copywriter who specializes in online marketing tactics (that’s me, by the way). Create an editorial calendar and divvy up the content needed between team members so that everyone has a fairly equal burden. Assign one person to oversee the entire project and to keep everyone accountable and on task. The amount of allocated resources will be different for every company, and it may even change throughout the year. For example, you may start out retaining most of the marketing plan activities in-house because construction is slow, but as business picks up, you seek out help. Or you may have a capable person on staff to do the bulk of the work, but when a special project opportunity comes up, such as a case study article in an industry trade publication, you hire a ghostwriter (me) to take on this project so your staff can continue with the other, planned activities. A WORD TO THE WISE: This is your marketing – the activity that drives new customers to your company – so make sure you budget appropriately. Don’t make the mistake too many others do and think that someone can just “whip up a blog article” for $100. To give it some perspective, in radio advertising, $100 will buy you two or three 15-second commercials. Realistically, how effective would those be? Not very, and the same can be said for cheap content. Good content/social media management (which we’ll discuss later in the series) costs good money. If you want it to be effective, you can’t go cheap. And if you don’t have the budget for outsourcing, the alternative is to spend time learning how to do it yourself and then dedicating time to doing it. 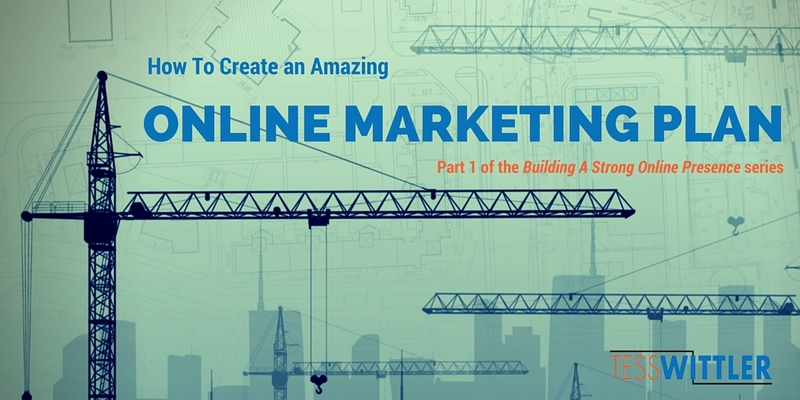 You need to assess your online marketing efforts on a regular and consistent basis. Don’t only do this once a year. I recommend pulling your analytics on a monthly basis. When starting a new online marketing plan, looking at data on a monthly basis will help you establish a baseline. From there, you can begin to measure your results and make any needed adjustments. Having said that, I encourage you to look beyond analytics and ask: What’s working? What isn’t working? What can we do differently moving forward to get the results we are looking for? 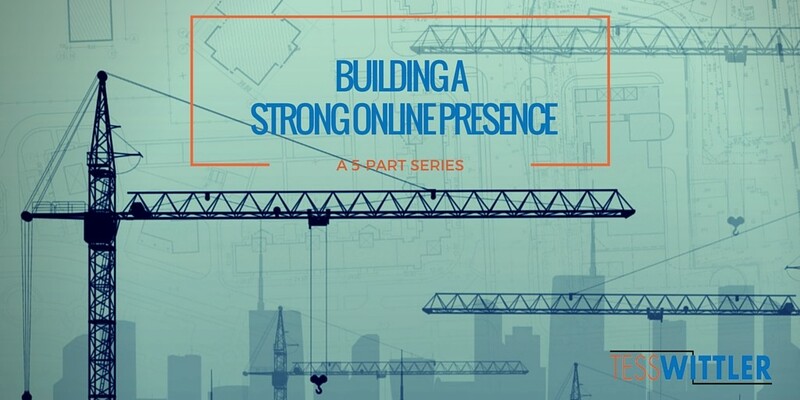 In the next installment of Building A Strong Online Marketing Presence, we’ll look at Part 2: Build a Solid Foundation: Your Website. READY TO TAKE YOUR MARKETING EFFORTS TO THE NEXT LEVEL? If you’d like my help, click here and tell me what you think I can do for you. Get my simple editorial calendar template - to keep blogging organized and simple. Success! Now check your email to download my simple editorial calendar. Usually, people excel at one or two of these, but not all of them. So it’s a good idea to get help with the ones that aren’t happening–like email marketing or social media.